Since 2005 I have provided a free rescue service for injured native birds on the Gold Coast. During that time thousands of wild birds that would otherwise have suffered a miserable death, or been left seriously injured or maimed, got the help they needed. This is a unique service because I specialize in catching ‘flight capable’ birds. I’m the only full time rescuer along this 50 kilometre coastline that can catch these birds. Most rescues can be completed in two to three hours, but sometimes it can take days or even weeks just to track down and catch one bird. That time increases when hospitalization is needed along with release at a later date. Then there is administration, web commitments and time attending the phone. The financial cost of providing all this is considerable. If you love wildlife and would like to assist this unique rescue service please visit the Donations page and make a contribution. Any amount, no matter how small, is greatly appreciated and helps to ensure that emergency support is available for sick and injured birds, 7 days a week. Your help makes all the difference. A BIG thank you from me and the birds. Beginning July 2014 I’ve posted a monthly Capture Report so that supporters can follow the activities of Wild Bird Rescues GOLD COAST. Each report contains pictures and inspiring stories about birds that were saved during that month, plus any special activities of the rescue service. 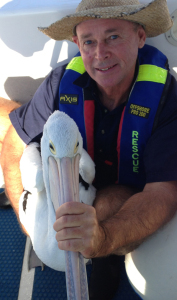 For daily action log onto Wild Bird Rescues GOLD COAST Facebook.